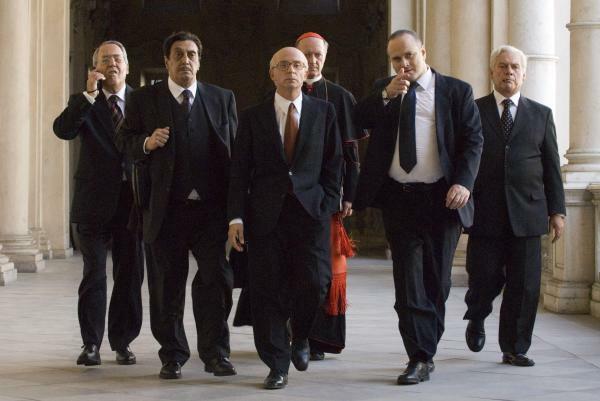 MAVERICK director Paolo Sorrentino's stylish political drama Il Divo is steeped in the maelstrom that was Italian politics in the early 1990s. 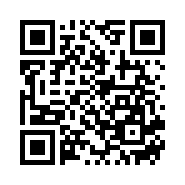 The central character is the mysterious powerbroker and former Christian Democratic leader Giulio Andreotti, now 89, who became prime minister seven times and has been a fixture in Italian politics since 1947. At the time he faced corruption investigations, although nothing stuck to his Teflon-like hide: neither accusations of Mafia involvement nor responsibility for a string of kidnappings, suicides, poisonings, shootings and bombings. He emerged unscathed from 26 court cases. The formidable and complex Andreotti is also a master of one-liners: "You always find the culprit in crime novels, but not always in real life," he said in 1981. Theatre director and actor Toni Servillo, who plays Andreotti, is unforgettable as the diminutive, Machiavellian right-wing politician, known by many names: the Hunchback, the Black Pope, the Man of Darkness and the Fox. He is supported by fine performances, including Carlo Buccirosso as Paolo Cirino Pomicino (one of Andreotti's inner circle) and Anna Bonaiuto as Livia Danese, Andreotti's long-suffering wife. Il Divo, winner of the grand jury prize at Cannes, is a standout among the dramas and comedies at this year's ninth Italian Film Festival, which opens in Melbourne tonight, with other capital cities to follow. It wasn't an easy film to make, says Servillo, speaking from his home at Caserta, a small town outside Naples, where he lives with his wife and two children. Andreotti may be 89, but there is still much nervousness around a film that shows the Fox, warts and all. "Normally films find funding through RAI and Mediaset, the two television groups, but this time they didn't want to be involved, and also some of the sponsors withdrew," Servillo says. "In the end it was Lucky Red, an independent group, (that) provided funding, and some other fringe groups. On the quality of the script, though, they did get some (government) funding, but it was the politics that scared away people." Among the sensitive areas the film explores is the death of former prime minister Christian Democratic leader Aldo Moro. In the film, Andreotti is haunted by his former friend and political ally. Moro, one of Italy's most powerful men, was kidnapped and held by the Red Brigade for 54 days; his body was found dumped in the boot of his car after the authorities (including Andreotti) refused to negotiate with his captors. "It was extremely difficult to interpret a real and living character," Servillo says of his role as Andreotti, "someone who is extremely well known in Italy and has been the object of many satirical portraits in the past and present, so I was running a risk trying to reproduce him very closely. "Instead I tried to use symbols - for instance, in the way I used my eyes - and also wanted to convey a sense of the solitude and the cynicism of someone so deeply involved in Italian politics and power and create an almost canonical, church-like atmosphere." As head of the Christian Democrats, Andreotti had close ties to the Vatican, and is deeply religious. Servillo plays him in a large pair of glasses, with his ears pinned down, shoulders hunched and a restricted gait. Andreotti is an insomniac who frequently experienced migranes. We first glimpse him emerging from darkness, his face pierced with acupuncture needles: an image recalling medieval Christian martyrs. Another of the film's memorable motifs is Andreotti wandering the city streets at night, alone but surrounded by armed bodyguards. Servillo's theatre company Teatri Uniti is well regarded locally and internationally, with a repertoire of modern and classic Italian plays. Although he had access to mountains of research on Andreotti when preparing for the role, he preferred to trust his theatrical instincts and what he calls a Brechtian approach. "I put the character together almost like a machine, so every time at the start of shooting and the end of shooting I would assemble and dismantle this machine," he says. "I wanted to put him together like an external object. 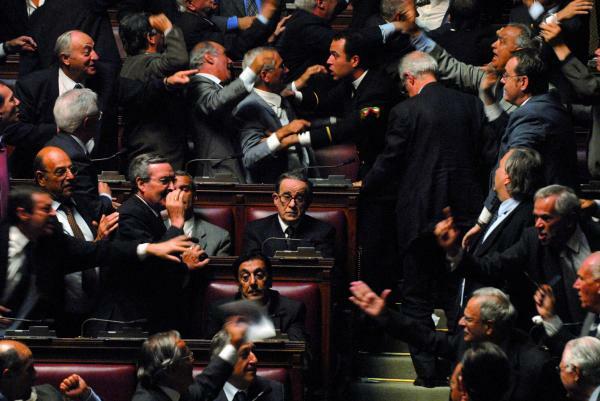 "My hope was to offer the (local) audience a way of reflecting on the way they'd been witnesses to these phases of political life in Italy, to reflect on themselves, because he was such a central figure of that time." Il Divo earned more than E5million ($9million) at the Italian box office and became the focus of public debate. "It gave young audiences who didn't live through it a chance to think about that part of history," Servillo says. 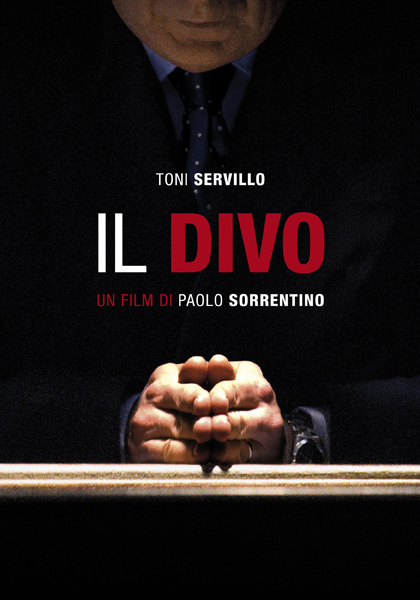 Although Sorrentino's editing and use of music are masterful and inventive, Servillo was well aware that the film would succeed or fail on the basis of his performance. "I felt a strong responsibility for the film, that's why I didn't want to convey an innocuous character," he says. "I wanted to convey the impenetrability and the secrecy of power in Italy, that deals with the public good in such a separate way from the voters, the everyday life of the Italian citizens. I do realise that in some circumstances this separation is almost a tragic aspect of Italian life, and there are hidden powers within Italy, like Masonry or the Mafia, that have given space to this dark page of Italian history. But there's also a healthy part of Italy that is fighting against all this; of course it's very hard, because they are kept away from the rooms in which all the decisions are made." Andreotti initially hated the film: "I learned from the media that he had seen it," Servillo says. "At first he had a very negative reaction, but after it began to have huge success, first at Cannes and then in Italy, he reconsidered." It's been quite a year for Servillo, 49. He also has the lead role of Detective Giovanni Sanzio in the murder mystery The Girl by the Lake, also showing at the festival, which won 10 David di Donatello awards this year. When a young girl is found dead in a small town in the Dolomites, Sanzio is called to investigate. As suspects pile up, he doesn't only have to solve the crime, but to deal with the pain in his own life as his wife succumbs to Alzheimer's. It's a gentle film and Servillo puts its success down to stepping away from the genre: "It was a refreshing way of looking at something like a murder. "Normally the media in Italy would have made a story like this into a very vulgar show, delving into all the personal aspects of the people involved. The film approaches the same story in a very graceful and delicate way, giving us back the feeling of what it is like for people involved in something so tragic, in a sort of deep and understated way." Servillo attaches equal importance to his cinema and theatre work. His production of Carlo Goldini's La Trilogia della Villeggiatura is off to Paris, Moscow, Budapest, Bucharest and New York, and he will direct La Boheme at La Scala in Milan. After the success of Il Divo, Servillo hopes that the talented new generation of Italian filmmakers will get a fair go: "The complexity of the language that has been developed in Italian cinema should give courage to producers to be perhaps a little bit less afraid and to try new ways," he says. The Italian Film Festival is in Melbourne until October 5; Sydney, September24-October 12; Brisbane, October 1-19; Perth, October 15-29; Adelaide, October 16-29; Canberra, November 13-23. “Il divo” means “the divine”, which is how Italians ironically refer to the man who stepped up onto their political stage in 1946 and hasn’t altogether left it since. Going on for 90, Giulio Andreotti, Christian Democrat and devout Catholic, who has headed the Italian government seven times and is a senator for life, is an enigmatic figure closely bound to the history of post-war Italy. This brilliant portrait of Andreotti won director Paolo Sorrentino the Jury Prize in Cannes this year. The subject of the filmmaker’s antipathy and fascination is a politician who navigated life without ever coming into conflict with the mafia (while they eliminated many of his colleagues and fellow party members), and who even managed to fend off charges of corruption. Superbly portrayed by Tony Servillo, the “divine Giulio” is a mysterious figure, even physically resembling a puppet who voluntarily defers all that is human, including his conscience, in the interests of his boundless ambition. “This is a malicious film, I am not that cynical,” was Giulio Andreotti’s reaction when he saw the biopic. Nonetheless, in keeping with the self-composed opportunism that has always aided his steep rise to political fame, he added that he does not intend to sue the filmmaker. Paolo Sorrentino (b. 1970, Naples, Italy) worked as a scriptwriter with Neapolitan stage and film directors and in 1998 made the short film Love Has No Confines (L’amore non ha confini), for which he won awards at home and abroad. He was also involved as a writer in the TV series La squadra (2002) before making his first feature film One Man Up (L’uomo in più), screened in the competition at Venice in 2001 and a year later at Karlovy Vary. The film won a series of awards, as did Sorrentino’s next film, The Consequences of Love (Le conseguenze dell’ amore, 2004), which was selected for the competition at Cannes, as was his latest film, Family Friend (2005 – Horizons KVIFF 2006). He competed in Cannes for the third time with his film Il Divo, a portrait of politician Giulio Andreotti.